Northway Solutions Group is a proud HP authorized reseller and solutions provider. Our long time partnership with HP has allowed us to provide our clients with innovative solutions to help optimize their IT investments. Mobile Labs provides end-to-end mobile application testing solutions for the enterprise. Its private, internal device cloud, deviceConnect™, provides secure, comprehensive management of mobile devices, mobile apps, tester access and tester activity. Designed for enterprise testing teams, deviceConnect’s powerful management console enables remote management, tracking and monitoring of enterprise testing assets by individual device name, manufacturer, model number, OS version, availability and apps currently loaded for test. Northway is a proud reseller of and delivery partner for Mobile Labs. We also provide consulting services around mobile testing using HP QC, UFT, Selenium, Appium and various other technologies that integrate with Mobile Labs solutions. Perfecto Mobile is transforming the way enterprise organizations go mobile, enabling them to test and monitor their mobile applications with confidence. Perfecto Mobile’s cloud-based end-to-end mobile quality platform, MobileCloud™, enables users to remotely access a large selection of real mobile devices connected to local cellular networks around the world. Users can leverage devices throughout the mobile application delivery lifecycle – from development, functional and performance testing to monitoring and support. The MobileCloud™ is available either in an enterprise private cloud or a sharable public cloud environment. Assure is the world’s leading provider of products and solutions for HP ALM & HP Quality Center customers. Our solutions help companies achieve a standardized and enhanced use of HP ALM & Quality Center while lowering the TCO. 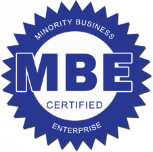 Northway is a certified Minority Owned Business Enterprise (MBE) certified by The DFW Minority Supplier Development Council. This certification enables Northway to be listed in the national database of the National Minority Supplier Development Council (NMSDC). The MBE Certification is a highly coveted designation. The guidelines are stringent and achievement of being certified is an accomplishment for Northway Solutions Group, Inc.